On 7 October, the Vancouver Aquarium will open its first deep sea exhibit featuring the remarkable “black smokers" located 300 km offshore Vancouver Island. Known as the Endeavour Hydrothermal Vents, they became Canada’s first marine protected area, designated in 2003 by Fisheries and Oceans Canada. 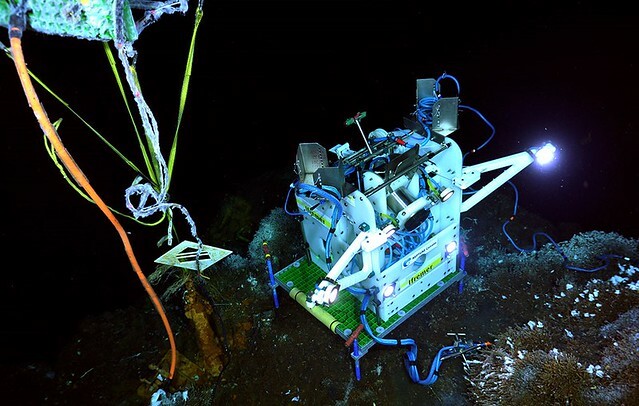 Ocean Networks Canada’s cabled observatory site at Endeavour provides realtime data, including live and recorded video, to further our understanding of this extraordinary region. The video shows how life thrives in this unique environment, fueled by the chemical energy of 350 degree Celsius fluids released from the hydrothermal vents. Many of our colleagues are oceanographers, ocean scientists, biologists, geophysicists, etc. How would you describe your specialized profession? I would say I am a deep sea volcanologist, seafloor surveyor and science visualizer. Did you have a moment in your childhood when you knew what professional direction your life would take? Did you have a “fall in love with the ocean” moment?